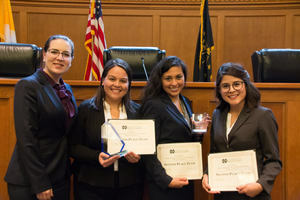 Barry University Dwayne O. Andreas School of Law won the best brief. 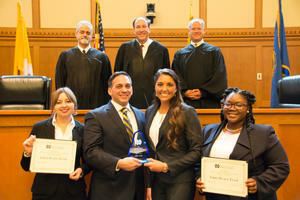 Pepperdine University School of Law won second-place brief. Flor Levia, Barry University Dwayne O. Andreas School of Law, won best oralist. Summer Robbins, Florida Coastal School of Law, won second-place oralist. 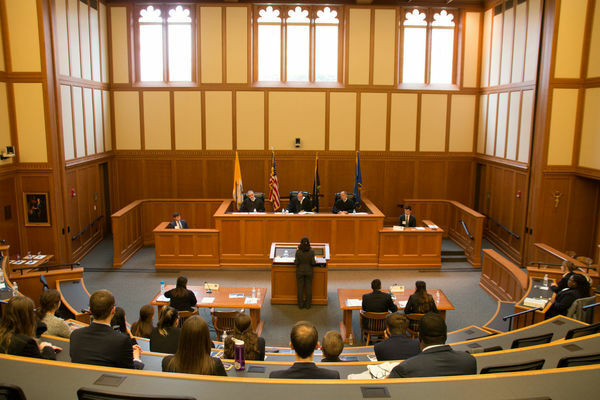 The final round judges were Judge Michael B. Brennan of the U.S. Court of Appeals for the Seventh Circuit, Judge John R. Blakey of the U.S. District Court for the Northern District of Illinois, and Judge David Certo, Presiding Judge of Indianapolis Veterans Court & Criminal Court. 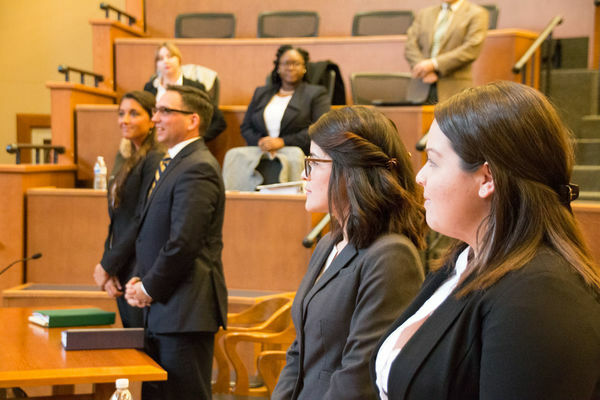 Originally published by Denise Wager at churchstate.nd.edu on November 20, 2018.